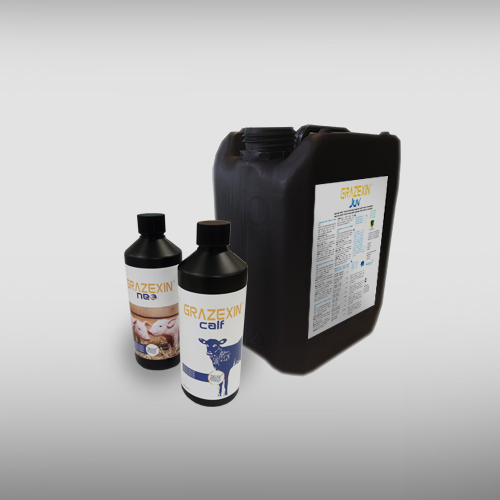 A range of natural supplements that improves more than gut health for newborn and weaned piglets, broilers and calves. Grazexin™ is routinely used within good husbandry. It helps improve livestock’s gut integrity, which is imperative in maintaining their general health. When the livestock’s immune system works properly, it protects them from diseases, and thus reduces the need for antibiotic treatments. Healthy livestock makes happy farmers. While keeping animals healthy is imperative, it is also important to do so in a sustainable yet effective way. As livestock populations grew, the risk of possible illnesses among them grew too. Hence, antibiotics are used to treat and prevent diseases, especially during times in an animal’s life such as weaning, where certain diseases are common. Preventative antibiotics result in fewer infections and animals tend to grow faster. There have been reports suggesting that overuse of antibiotics make some bacteria become more resistant and could become one of the leading threats to human health. InQpharm specialises in potentiating nature’s best. We use a patented and uniquely activated composition of green tea and pomegranate extracts to improve the gastro-intestinal health of livestock. We have a range of complementary supplements for piglets, broilers and calves – Grazexin™ Neo, Grazexin™ Juv and Grazexin™ Calf. These bioactive-based feed supplements could help to promote livestock’s gastrointestinal health, prevent diseases and improve performance. Grazexin™ Neo is a complementary feed that helps improve faecal consistency and survivability of newborn piglets. This natural solution demonstrates clear improvements in newborn piglets’ gut health. Grazexin™ Juv improves the gut health of broilers and weaned piglets. It improves their health effectively by aiding weight gain, ensuring the faecal consistency of both broilers and weaned piglets, while increasing survival rates of weaned piglets. Grazexin™ Calf is a nutritional supplement that supports the gut health of calves as they go through various stressful stages of transitions.